Malaysia offers a wide range of hotels of various classes, purpose that depends on your budget. Kuala Lumpur in Peninsular Malaysia is the country’s capital financial, commercial, and shopping and entertainment hub where an activity in the city runs 24 hours a day. Anywhere you turn in the city, skyscrapers are as common as coconut palms at a beach. For those business or budget travelers, Kuala Lumpur in Malaysia has a lot to offers you when it comes to accommodation and food. Night bazaars and exclusive boutiques, roadside hawker stalls, swanky restaurant, budget inns and 5-star hotels are all found here. The Capitol Hotel Kuala Lumpur in Malaysia is strategically located in the Kuala Lumpur finest shopping, dining and entertainment hub. Travelers can walk from the hotel to the major shopping malls, restaurants and cafes. Public transport is also easily accessible from the Capitol Hotel in Kuala Lumpur, Malaysia. The efficient public transport enables guest at the Capitol Hotel Kuala Lumpur in Malaysia to move around conveniently and economically. 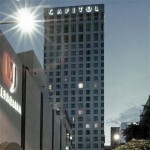 The Capitol Hotel Kuala Lumpur in Malaysia is a 3-star property located in the heart of the Golden Triangle. At the Capitol Hotel in Kuala Lumpur, Malaysia, guest will enjoy accommodation that incorporates smart and modern surroundings, exceptional service and warmth Malaysian hospitality. The 3 star property has 225 well appointed guestrooms including Superior Room, deluxe Room, Capitol Deluxe Room and Capitol Premium Room. There are rooms that you can pick from and we recommend the Capitol Deluxe Room and the Capitol Premium Room because it is more spacious and have a great view of the skyscrapers but the rest of them are just as comfortable. The Capitol Deluxe Room at the Capitol Hotel Kuala Lumpur in Malaysia is located at the corner of the building from the first floor to the 12th floor. 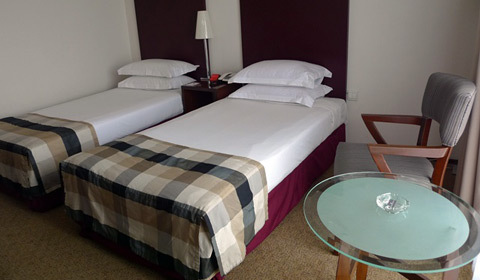 The rooms are spacious and can accommodate up to 3 people with an extra bed. 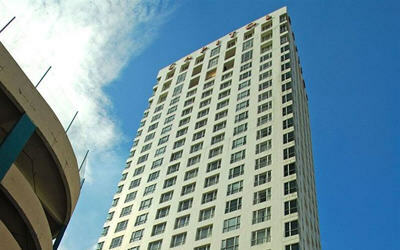 The rooms at the Capitol Hotel Kuala Lumpur in Malaysia provide modern luxuries and conveniences. The rooms at the Capitol Hotel in Kuala Lumpur, Malaysia are all equipped with basic standard amenities for your convenience which includes air-conditioning, television, telephone, in-room internet access, mini fridge, room service, toiletries and tea and coffee making facilities. The Capitol Premium Rooms at the Capitol Hotel in Kuala Lumpur, in Peninsular Malaysia on the other hand offers the same basic amenities only that it is more spacious and can accommodate up to 4 adults. 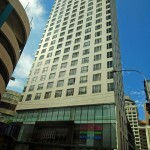 The rooms at the Capitol Hotel Kuala Lumpur in Malaysia will satisfy the needs of both leisure and business travelers. The Capitol Hotel in Kuala Lumpur, Malaysia offers two sumptuous food and beverage outlets serving an extensive variety of Asian and Western cuisine. Each outlet provides a distinctly different dining experience. The Be Be’s Kitchen and Bar at the Capitol Hotel Kuala Lumpur in Peninsular Malaysia adopts a casual dining concept which is reflected in the restaurant’s décor that is smart and modern surrounding. For a quick bite, go al-fresco at the Café Rasa at the Capitol Hotel Kuala Lumpur in Malaysia where the café over looks the busiest street in Kuala Lumpur, Malaysia. The hotels strategic position also promises its guest easy access to the restaurant nearby which offers authentic cuisine if you choose to dine outside the hotel. Your food adventure will surely makes your taste buds tingle for more. Whether you are looking for serious art, heritage, corporate gifts, fashion, jewellery, lifestyle items or just a momento of your stay here, the Bintang Walk is the ideal destination. Your search will bring you through a refreshing and enlightening walk-through of our civilization with its rich ethnic diversity and heritage. For those who are more adventurous, make sure you get information from the concierge so that your holidays in Kuala Lumpur in Peninsular Malaysia are utilized to your maximum satisfaction. For the business travelers, the Capitol Hotel Kuala Lumpur in Malaysia provides a Business Centre where you can have an office within the hotel. Equipped with business facilities, the business centre at the Capitol Hotel in Kuala Lumpur, Malaysia offers fast and reliable services provided by friendly and energetic staff at the hotel. 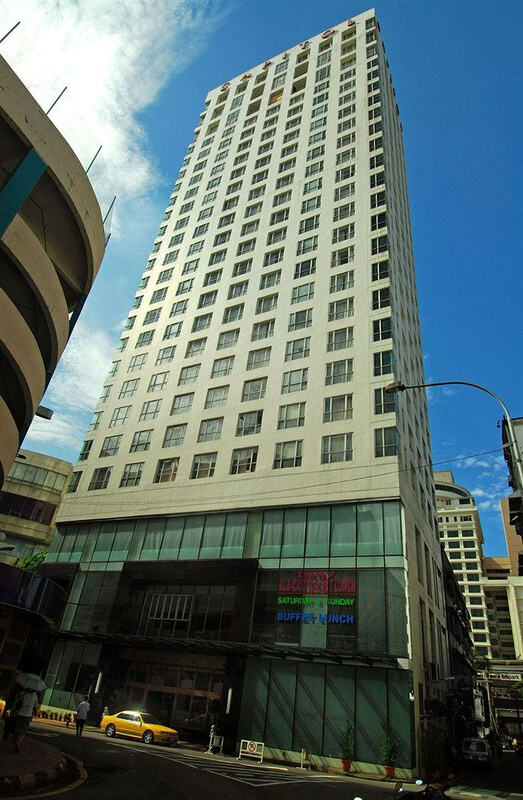 The Capitol Hotel Kuala Lumpur in Peninsular Malaysia also serves as a convenient and strategic venue for seminars, meeting and other social gathering. The hotel has 4 meeting rooms that can easily accommodate up to 120 people per function with state of the art audio visual equipment. For the business and budget travelers, make the Capitol Hotel Kuala Lumpur in Malaysia your choice of stay while on a business trip or while on holiday. serving breakfast, popular Hi-Tea and dinner. Breakfast, lunch and dinner. For a quick bite or a chill out with a beer.